As the world struggles to become more sustainable, the construction industry is working to do its part. One impressive example? Roadtec’s cold-in-place recycling (CIR) system. This ingenious process allows recycling of all – that’s 100% of existing asphalt material for rehab or repair of asphalt paved roadways. Not only that, the CIR system does the job in a single pass. That’s not only environmentally-friendly, it’s productivity-friendly. The Roadtec cold-in-place system is designed to work with either emulsion or foamed asphalt. It mills the surface of the existing asphalt pavement, down to a depth of 2 to 5 inches, and removes that material. It then reprocesses the material by transferring, measuring and injecting it into the milling machine’s cutter housing. A bituminous and/or chemical recycling additive is blended into the milled product and then transferred along for repaving. This process is called “cold-in-place” because the asphalt mixture is never heated during this process. Instead, processing temperatures generally run between 100-120 degrees. For most applications, a chip seal or HMA overlay is added to enhance the structure and wear-ability of the finished road surface. At that point, it’s ready to roll. A typical CIR equipment train includes a milling machine, recycling agent tankers, an asphalt paver, and various compaction machines. 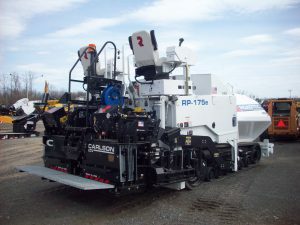 Roadtec makes two milling machines that support CIR asphalt recycling — the RX-700, and RX-900. The RT-500 is rated at 500 tph. Roadtec describes this as their most versatile machine because it can be used in two ways. Alone, it serves as a cold-central mix plant to process reclaimed asphalt pavement (RAP) at maximum efficiency. Paired with Roadtec’s RT-900, it creates a fully operational cold-in-place system. Bolt-on packages are available that convert the Roadtec RX-700/ex and RX-900/ex into CIR machines. Both these models are bi-directional. Because they are able to down cut easily, you get greater control over material sizing. It is environmentally friendly, thanks to 100% recycling of existing asphalt surface material. There is no need to apply new Hot Mix Asphalt. The process conserves fuel and streamlines equipment scheduling. Because no new asphalt is required, no haul trucks are required to work the job. The process is more energy-efficient, because asphalt does not need to be heated. The finished product is longer-lasting. Just one pass is needed to complete the work. That’s a lot of benefits. 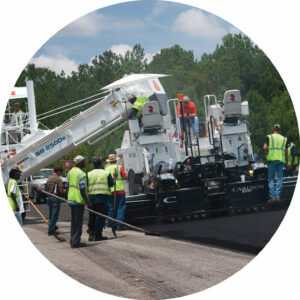 If your 2019 work line-up will include paving projects, it might be time to learn more about how Roadtec’s CIR systems can help you work more productively.